The Fleck 5600sxt 48000 Grain Water Softener Digital SXT Metered Whole House System has been designed and manufactured to offer small scale yet, quality water treatment services to an average household. The product is meant to eliminate hard water through a process of ion exchange, where calcium and magnesium are gotten rid of rendering the water soft. This increases the soap efficiency of the water and reduces scale build-up. A high capacity resin is used in this system, ensuring a long service life of the equipment. Also, the system uses meter based regeneration process that ensures that the water used is measured and the system only regenerates when it needs to and if the water needs to increase the system regenerates more often to keep up. Large LCD display with 48 hours of internal power backup capacitor. Downflow or up flow regeneration cycles. Choose from 4 modes of operation: immediate meter regeneration, delayed meter regeneration, delayed time clock regeneration or day of week regeneration. 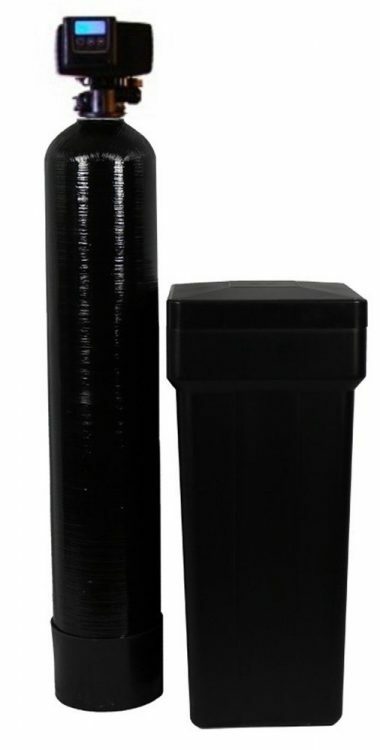 Complete system Ships in almond or black (default) 10-year warranty on both tanks, 5 years on head including electronics. 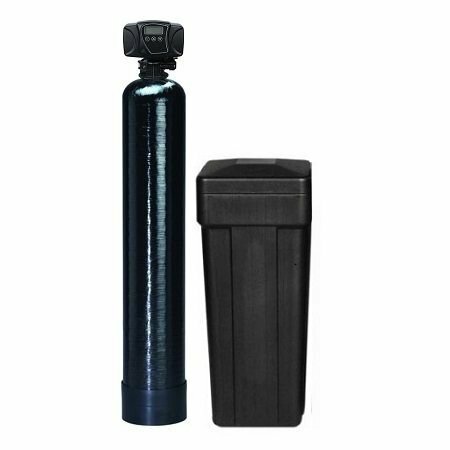 The Fleck 5600sxt 48000 Grain Water Softener Digital SXT Metered Whole House System offers a great solution to water treatment problems at a relatively low cost. The equipment is affordable to the regular American household. It is easy to install and operate and with a long service life. This product is an amazing deal, for small scale, subsistence water treatment. 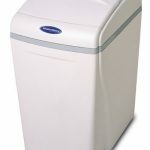 Finding the best water softener is a tough job with so many systems in the market, each with its own advantages and disadvantages. They function in different ways and use different techniques to remove the hardness in water. 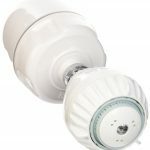 The Fleck 5600sxt 48000 Grain Water Softener Digital SXT Metered Whole House System is relatively easy to install and when properly installed works greatly. DIY-installation it will take an hour or so to be installed. Doesn't require professional plumbing skills to be installed. The product doesn't take up much space and can be accommodated within the house. The system is quiet; hence it isn't a nuisance or an irritant if it is installed in an open area in the house. The design allows for adjustment to be made with the customers' preferences. It comes with a safety float that prevents overfilling and also features an overflow drain that ensures that there are no water messes. The meter regeneration system ensures efficiency of the system since water is only regenerated when it needs to be regenerated. The SXT controller has a backlit LCD display and touchpad controls making it userfriendly. It also features a 48hour backup capacitor in case of inconsistent power. The system is easy to install since it takes less time of not more than 2 hours. The product is of great demand. The appliance is easy to use since it has the manual or the guide on how to install and use. The parts of fleck are easy to find whenever there is a need to repair in case of breakdown. The parts are easy to assemble. This means that the units are all fully assembled when they come and ready to for plumbing. The product is affordable and thus one has to choose within his or her budget since the prices ranges. It has long life span and thus will serve for long. Metered and programmable regeneration for optimal user control. Currently, the item can only be shipped within the united states of America and to APO/FPO addresses. The item is not eligible for international shipping being offered. The product is not accessible to the whole world due to the limitation in shipment. It's bad for the environment since it wastes a lot of water because the discharge is salty and costly to recycle and that's why some are banned in some areas like California. Also, it is costly since one has to hire the supplier salt bags that can be used to keep them stocked with water softener salt. Need a continual supply of salt.